Tadakichi-san also known as Mr. Tadakichi is Chiyo's pet dog. A Great Pyrenees, who has been with her for five years prior to her admission to high school. Mild-mannered and gentle, he is large enough for Chiyo to ride on his back and indulgent enough to allow her to. 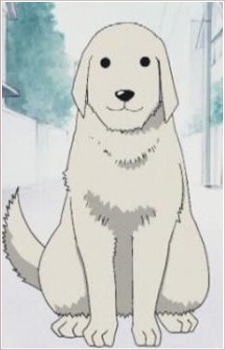 Sakaki particularly likes him, because he allows her to pet him without biting her. Sakaki also daydreams about being able to ride Tadakichi as Chiyo does.